This event is now SOLD OUT and no tickets will be available on the door. If you would like to rave with us this weekend then there are still some tickets left for Camden 9 Dec with acid house legend DJ Mark Archer (Altern 8). ‘AV IT IN A FESTIVE STYLEE! WINTERVILLE – the alternative Xmas village that will be springing up on Clapham common. We’ll be playing a gorgeous spiegeltent. 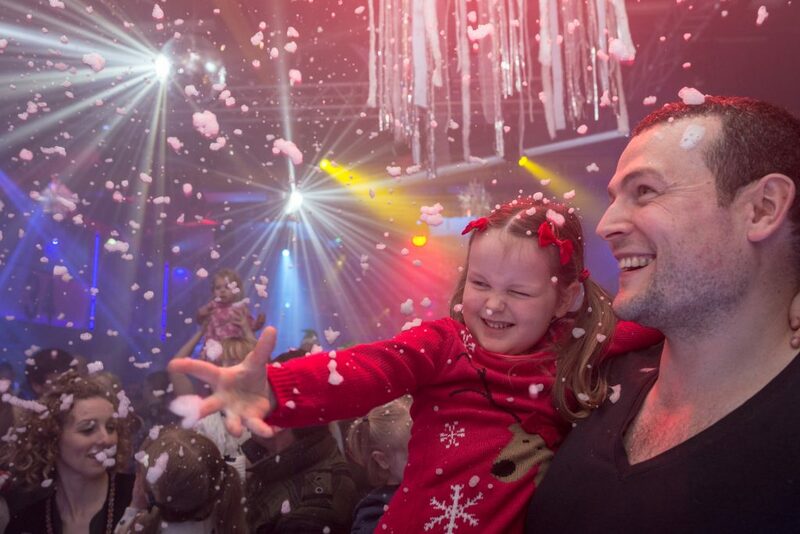 It’s going to be a Christmas Cracker of a family rave! World famous, award winning, Glastonbury Festival performing, family rave sensation BFLF throws the ultimate family event in our wonderful festive venue. Our Xmas shows usually sell out in advance so please buy early to avoid disappointment. DJ Frank Tope spins bangin’ house choons! Facepainters our excellent facepainter will be on hand. Be transformed! With Poppy & Perle. Kids £5 – Adults £7 . Children must be over 2. CASH ONLY for facepainting. Optional fancy dress: Festive rave fun! Music is played at a safe volume for everyone and monitored throughout event. Adults are not admitted unless accompanied by a child. A max of 3 children per adult. Larger birthday party groups should have one adult per two children. If there are more than 4 adults per child in your group please email info@bigfishlittlefishevents.co.uk for pre-approval before buying tickets. Tickets are non-refundable but can be transferred/sold on and if anybody with tickets finds they cannot attend a sold-out event please email info@bigfishlittlefishevents.co.uk and BFLF will attempt to put you in touch with people seeking to buy tickets. Each member of your group must have a ticket and pre-walking infants free (but ticketed). Will cost more on the door (if tickets available). We may photograph or film small parts of the event and by entering you are giving your permission for these to be used for BFLF promotion purposes. For closeups all subjects are asked directly for permission. Very close to tube stations and lots of buses nearby. Parking is free in the nearby roads.